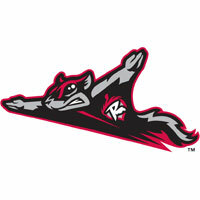 The Richmond Flying Squirrels (66-45) ran out of pitchers and fell to the Harrisburg Senators (44-65), 6-3, in 13 innings at The Diamond on Wednesday afternoon. The Senators avoided the sweep with the win, but the Squirrels maintained their 10-game cushion for a playoff spot. Skyler Stromsmoe, who started the game at second base, had already worked one scoreless inning when he returned to pitch the 13th inning with the score tied, 1-1. He walked James Simmons, a pinch-hitting pitcher, to start the inning. He then hit Caleb Ramsey to put two aboard. Outfielder Ryan Lollis relieved Stromsmoe and conceded a sacrifice-fly to Jason Martinson to score Simmons. A walk and a hit batsman later, Quincy Latimore put the game away with a grand slam to left field. Stromsmoe (0-1) took the loss for the Squirrels in his first pitching appearance of the year. The Senators claimed a quick lead against right-hander Chris Stratton in the top of the first inning. Stratton, making his Double-A debut, gave up a one-out solo-home run to Drew Vettleson. Vettleson sent his fifth of the season to right field for a 1-0 lead. Stratton worked through myriad adversity and turned in five quality innings in his debut, He allowed just the lone run on seven hits, walked two and struck out three. He did not factor in the decision. Right-hander John Simms had the Squirrels off balance at the plate through the first five innings. However, Matt Duffy led off the sixth with a double to the left-field corner. jarrett parker followed with a single to center to put runners at the corners with nobody out. Devin Harris then lifted a sacrifice-fly to left field to knot the game, 1-1. Simms limited the Squirrels to a lone run on six hits through six innings. He walked two, struck out six and did not factor in the decision. Right-hander Paul Demny worked a scoreless inning of relief before right-hander Tyler Herron worked two. Right-hander Neil Holland (6-2) worked three scoreless innings for the win, his sixth. The Squirrels used newcomer Carlos Alvarado for two scoreless innings. Righty Hunter Strickland and lefty Phil McCormick each handled an inning. Right-hander Cody Hall then turned in two scoreless innings before the Squirrels were forced to use position players on the mound. Right-hander Robert Benincasa conceded two runs to the Squirrels in the 13th, but finished the ballgame. Tyler LaTorre knocked in both runs with a double to left-center field. The Squirrels travel to Altoona, PA, to open a four-game series with the Altoona Curve on Thursday night. First pitch is scheduled for 7:00 p.m. at Peoples Natural Gas Field as Richmond RHP Kyle Crick (6-5, 3.09) will make the start against Altoona LHP Zach Dodson (3-7, 5.25). The Flying Squirrels Pregame Warmup begins at 6:30 p.m. on Sports Radio 910 andSportsRadio910.com.